World Premiere First screening of Fade2Grey's amazing live concert in Herm filmed in May 2014 on Saturday 15th November. At the Princess Royal Centre for Performing Arts. In aid of GSPCA and World Vision. Doors open 7pm, full bar service. Tickets £10 includes free DVD. 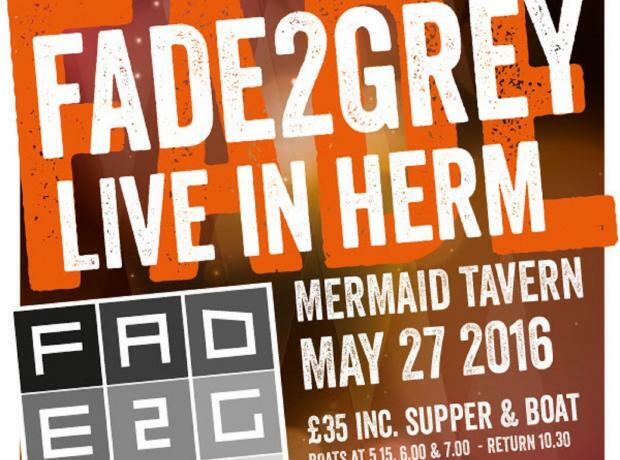 On 23rd May 2014, 80s electronica band Fade2Grey made history by taking a full concert rig to Herm Island and performing in front of 450 fans. The concert was filmed and is about to be released as a live DVD.